The Florida State Golf Association is proud to be one of the largest and finest volunteer based golf associations in the country. FSGA volunteers fall into two categories; tournament volunteers and/or course rating volunteers. There are many volunteers that participate in both and help us a great deal. Each year the FSGA conducts over 560 days of competition including State Championships, qualifiers for State Championships, Florida Junior Tour, qualifying for USGA National Championships, State High Schools Championships, Southwest Amateur Series, numerous collegiate events and One-Day Net competitions. You don't need any special talent to be a volunteer. We'll find you a task to match your talents; don't worry if you've never even opened a Rule book. We have a wide range of tasks to meet your skills, knowledge desires, and talent. So you think you want to become an FSGA Tournament volunteer? If you answered "yes", we encourage you to join us for a Ride-Along Day. The FSGA designed the Ride-Along Day for anyone interested in becoming a volunteer that isn't quite sure what volunteers do. You will have the opportunity to not only meet some of our wonderful Committee (volunteers & staff) members, but watch them in action! The Tournament Chairman of the event will have you observe several Committee members throughout the day while they introduce you to the following Committee roles. Your Ride-Along Day is scheduled, now what? Once you arrive at the course, you will find a group of people, usually in the cart staging area, dressed in white shirts and khaki slacks drinking their morning coffee...THAT'S US! Please feel free to introduce yourself as they will be awaiting your arrival. What to bring (and what not to bring): sunscreen, hat, watch, rain gear (if necessary). DO NOT bring a lunch - the FSGA will provide lunch and snacks for all Committee members. As a tournament official, you will likely be in contact with junior golfers at our junior and adult competitions. Accordingly, all FSGA tournament volunteers must complete a background check. Complete Background Check - All FSGA Tournament Volunteers are required to complete a criminal background check. You will be sent an email containing a link to a third-party verification company's website, where you will be required to provide basic identifying information so that a background search can be completed. Within 5 days, you will be notified of the results of the check and you can log into the verifying company's account to view your own report. See FSGA Background Check Policy for more information. Uniform - You will be provided an FSGA hat, shirt and name badge, as part of the FSGA Committee Member uniform. Other clothing items are available at cost in our online pro shop or can be acquired with credits earned for days worked as a volunteer. Volunteer Central is a private section of our website dedicated to YOU, our volunteers. Volunteer Central is where you will go to see upcoming tournaments and where you can sign up to work those events. Many other resources are provided in Volunteer Central including training guides, directories, policies and more. As you become more interested, the FSGA is there to help you each step of the way. 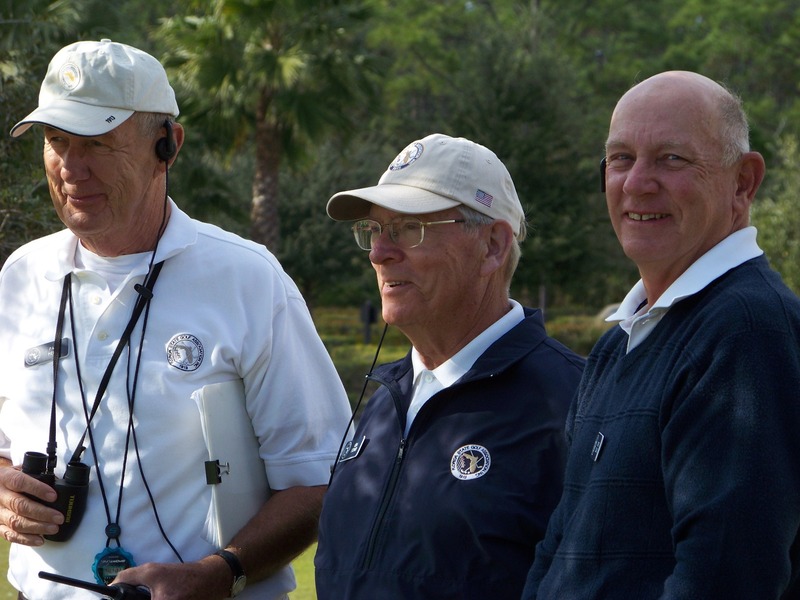 You will learn many of your responsibilities by working with other volunteers at events but the FSGA also provides three formal levels of training that will help you become more comfortable and capable as an official. After some time, you may wish to become a "Certified Rules Official" although becoming certified is not required. So you think you want to become an FSGA Course Rating volunteer? Becoming a course rating volunteer is more difficult than becoming a tournament volunteer. We have limited available openings on the course rating teams around the state and full-time residency is preferred since a majority of rating occur during the summer months. If you are interested in becoming a Course Rating volunteer please contact Tracy Dachisen at tracy@fsga.org.